The goal of this Letter is to help leaders in the asset owner sector see that integrated reporting is indeed a case of the medium being the message. Read the article here. During October 2018 the ICGN and PRI released a joint paper of the “GIOC” (the Global Investor Organisations Committee) covering the investor agenda for corporate ESG reporting. A group of leading global investor organisations convened to address open questions relating to corporate ESG reporting to provide guidance and an investor perspective to the Corporate Reporting Dialogue and its members. While the report is mainly targeted at ESG reporting, it clearly states that the group considers integrated reporting to be a desirable end goal, which should result from integrated thinking, strategy formulation and policy making, and the integrated reporting of qualitative business drivers, including ESG factors, together with traditional elements of corporate and financial reporting. Read more here. 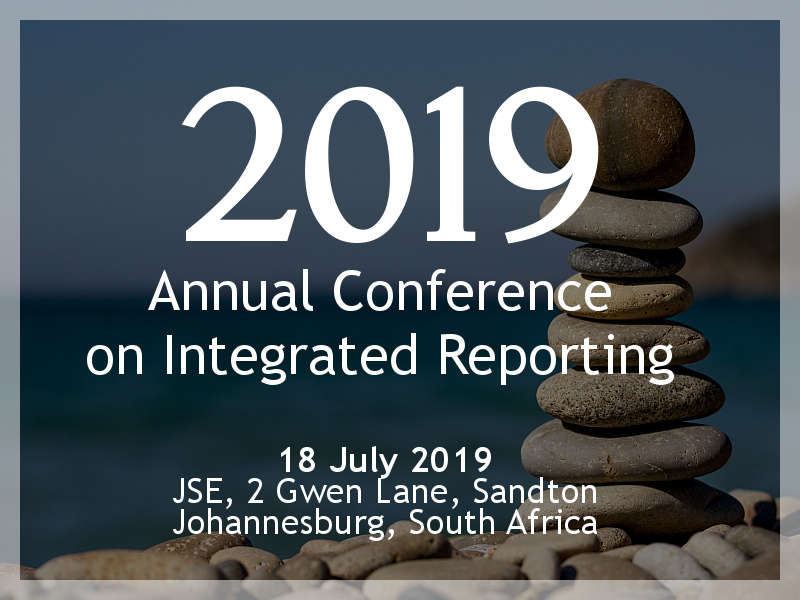 The International Federation of Accountants released a policy paper “Enhancing organizational reporting: Integrated Reporting key” setting out its strong support for integrated reporting. The IIA South Africa released a publication “Integrated Reporting: Tip of the Iceberg”. This international research study, “Realizing the benefits: The impact of integrated reporting“, unearths some of the benefits reporting companies are experiencing from their integrated reporting. This report, “Tomorrow’s business success“, explains how using integrated reporting can create value and effectively tell the full story. You can also access the summary and toolkit here. Tomorrow’s Company has an interesting guide on stakeholders, “Tomorrow’s Relationships – Unlocking Value“. And there is a useful compendium of relationship tools and frameworks. You can also access a toolkit as well as a roadmap toolkit here. The UK’s Financial Reporting Council released “Guidance on the Strategic Report“ and is quoted saying reports that follow the guidance should result in reporting that is consistent with the International <IR> Framework. You can read more here. IFAC’s policy and position paper on “Enhanced Organizational Reporting” emphasises the importance and usefulness of reporting broad-based information beyond that which is provided in traditional financial reporting. This International Good Practice Guidance, “Principles for Effective Business Reporting Processes” from the IFAC Professional Accountants in Business (PAIB) Committee helps organisations with the principles of effective reporting processes. The International Corporate Governance Network (ICGN) has a number of useful publications on best practice in corporate governance and reporting. Visit the ICGN website to access these publications.